Marc Jacobs‘s autumn-winter 2017 collection praised the diverse street culture of New York – and it deserves respect. Not only did the cast feature an impressive number of black models, but also, Jacobs decided to invite transgender girls to walk the show. Exceptionally, this groundbreaking fashion show wasn’t a venue show-off, as we’ve all got used to. A narrow aisle of chairs for the show’s guests crossed the huge Park Avenue Armory. No music, but the sound of models’ walk and limited phone usage for those invited. A sudden exit to the streets of New York, where Adwoa Aboah, Lineisy Montero, Winnie Harlow, Kendal Jenner and other models integrated with the city. I love how Jacobs handled the collection, sparking one of the brightest moments of the entire New York fashion week saving the best til last. The clothes were all about tweed, corduroy, fur and chic Stephen Jones’ hats. Golden chain necklaces were designed in collaboration with artist Urs Fischer, nodding to the bold culture of hip-hop, while round bangles – perhaps to R&B. While other designers, like Alexander Wang or, Philipp Plein, tend to repeat popular stereotypes, Marc presented his own interpretation. The show’s theme could lead to something too literal, like a line of hoodies or sweatpants – but Marc ventured into the topic subtly and with heart. 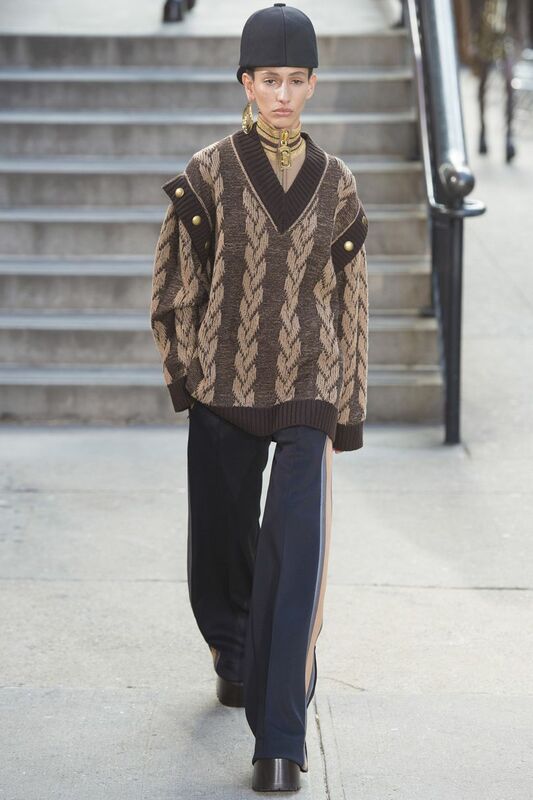 This entry was posted in NYFW, Trend Reports and tagged Adwoa Aboah, kendal jenner, Lineisy Montero, marc jacobs, nyfw, Stephen Jones, Winnie Harlow. Bookmark the permalink.